UPDATE II: Booker's entire charade has been exposed. The documents were cleared for publication at 4 a.m. this morning. Update here. UPDATE: Chairman Grassley has released all requested documents. The third day of Judge Brett Kavanaugh's hearing to become the next Supreme Court Justice got off to a wild start Thursday morning. Democrat Cory Booker vowed to break Senate rules by releasing confidential Committee documents and dared the Senate to expel him for knowingly doing so. Any Senator, officer, or employee of the Senate who shall disclose the secret or confidential business or proceedings of the Senate, including the business and proceedings of the committees, subcommittees, and offices of the Senate, shall be liable, if a Senator, to suffer expulsion from the body; and if an officer or employee, to dismissal from the service of the Senate, and to punishment for contempt. The emails Booker is referring to are from Kavanaugh's time at the White House after 9/11 when he discussed the use of racial profiling in the age of terrorism. 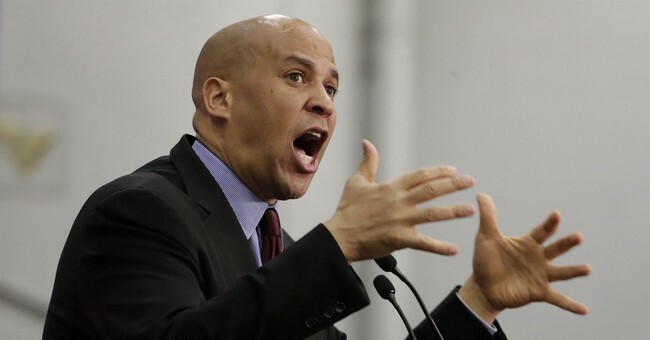 Other Democrat Senators joined Booker and encouraged their Republican colleagues to also expel them from the body for knowingly breaking Senate rules. In addition, they argued that because they don't believe the Kavanaugh nomination is legitimate, they don't have to follow the rules. Eventually through proper Committee processes, the email in question was allowed to be released. Mike Lee: I sometimes hate our rules and laws, too. But if we don’t like them, we need to respect the process and change the rules and laws (not break them).